* Automatic power adaption to the port power. This means that the light will have more power on a 12 V port than on a 6 V port. Please note: You will need to order your mounting bracket and cables as required for your set up. 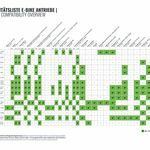 These are not supplied as standard due to the range of options available. The M99 MINI is the world’s first front light with high and low beam compliant with the new German road laws in effect since June 2017. 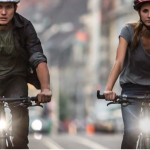 The revolutionary new law now permits a real high beam on bicyles and E-Bikes up to 25 km/h speed, like on cars! A high beam is essential for off road use. It dramatically improves the illumination of corners and it illuminates low hanging branches. 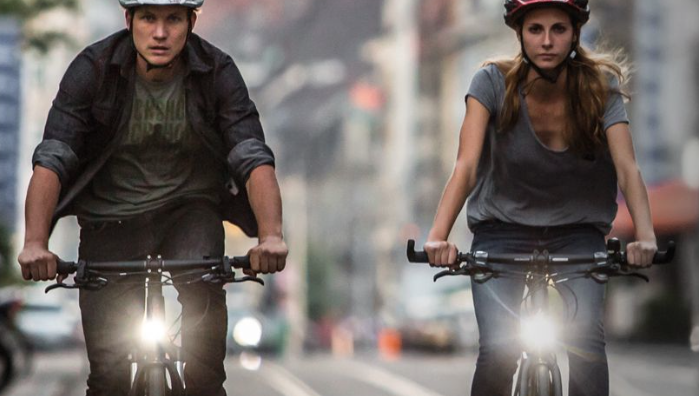 With the integrated low beam, it is finally possible to ride home relaxed, without blinding oncoming traffic. Supernova is starting a completely new trend with this front light: road legal lighting on an E-MTB! This light is 50% smaller and 40% lighter than its big brother the M99 Pro. The carefully balanced combination of 99 separately calculated mirrors with the LED matrix was achieved in a highly complex development project. Only by using 10 automotive LEDs of the latest generation that can be regulated intelligently - in combination with multiple, complex computer calculated concave and convex catoptric facets of the mirror - was it possible to create this pioneering new product. The 1,250 lumen-strong high beam on the M99 MINI front light is achieved with a clever, patent pending Matrix of 10 LEDs without any movable mirrors. This makes this front light extremely small, especially when you realize that it practically has car headlight technology inside. The intelligent processor controlled electronics makes the installation very easy because the drive system is recognized and the best possible power setting is automatically chosen. This makes the M99 MINI PRO 25 km/h compatible with virtually every E-Bike motor with 5 V, 6 V or 12 V light port. 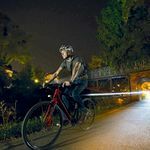 When the intelligent electronics of the M99 are connected to the main controller on a modern E-Bike the flexibility of the LED matrix can be used to adapt the beam shape to the riding speed. This speed controlled adaptive beam follows the focal point of the rider and extends the illumination of the road ahead at higher speeds while simultaneously increasing the near field illumination for better peripheral vision. 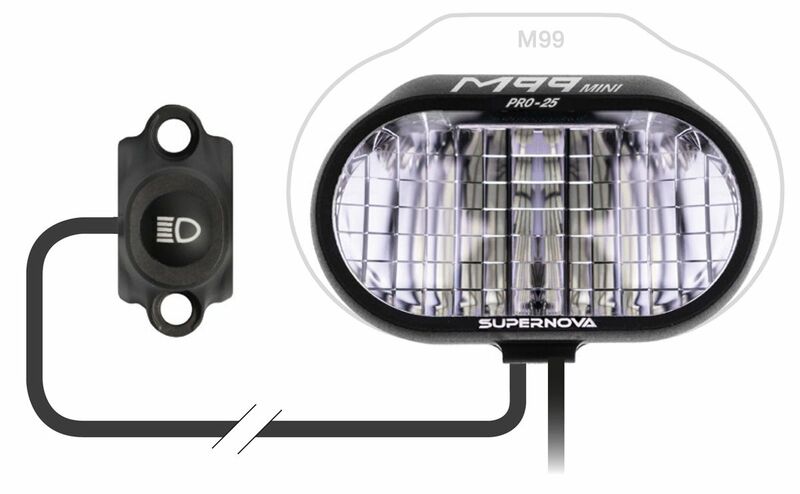 The M99 headlight is designed for the highest energy efficiency and offers a wealth of intelligent energy saving modes that can be activated. By adapting the illumination to the riding situation, the Eco mode saves up to 50% energy in typical city traffic or in difficult terrain, without the rider having to do anything. The Intelligent Brake Buffer (IBB) software ensures that even in eco mode slowly ridden switchbacks or difficult sections are illuminated with full intensity of the low beam for up to ten seconds. 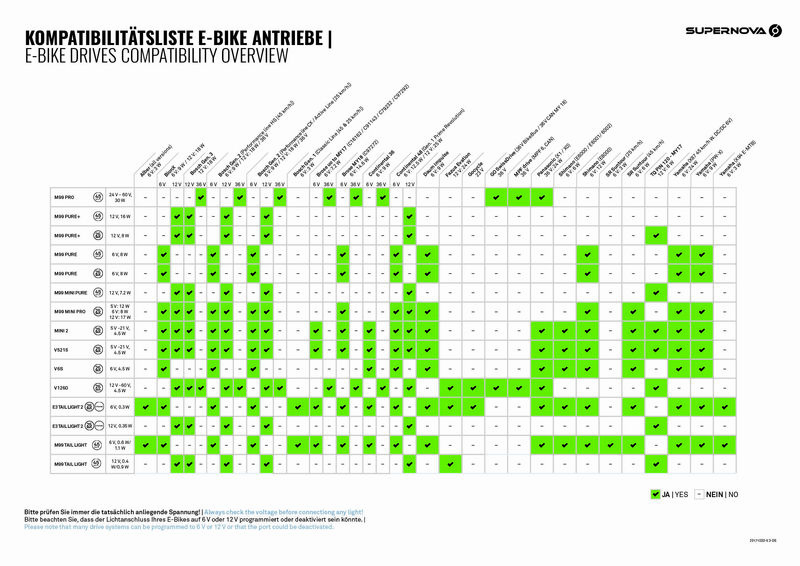 At traffic lights or during longer breaks, the IBB software recognises the situation and switches to eco mode. As soon as the speed increases the light automatically gets brighter. 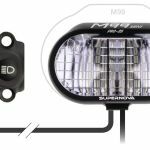 The brightness of the M99 system breaks all records and could only be achieved with the sophisticated Supernova cooling of the high power automotive LED matrix. Supernova has applied ten years of knowledge and experience with LED lights into the development of these LEDs. The electronics and the housing have been optimised through careful selection of the right materials based on complex heat dissipation simulations to allow the LEDs to work with the best possible efficiency even at full power. The seamless once piece aluminium housing abstracts heat without interruption. The form of the cooling fins has been computer calculated to take advantage of an increased chimey effect to dissipate the heat of the LEDs effectively. In extreme conditions and integrated heat sensor regulates the light automatically with the help of a patent pending algorithm that keeps it at an ideal temperature level.